Exporter of a wide range of products which include compressor cooler, gas compressor parts, air compressor kits, compressor cylinder, pressure packing for reciprocating compressor and screw compressor parts. 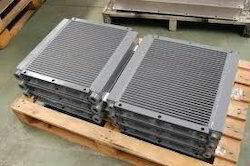 We are engaged in offering Compressor Cooler to our clients. Our offered coolers are manufactured from optimum quality materials like SS, copper, admiralty brass & CS and advanced technology in adherence to the highest industry standards. It is reliable in terms of quality and preference. Clients can avail this entire range from us in different specifications and are used in engineering and allied industries. We offer a wide range of Gas Compressor Parts to the clients. Our offered parts are manufactured from high-grade basic materials that are procured from the trusted vendors of the market. We strictly follow the norms and standards laid down by industry at every stage of production. Moreover, these are highly praised owing to their unmatched quality and durability. 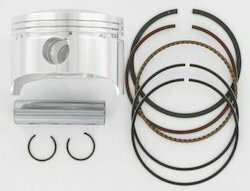 We manufacture and exports Air Compressor Kits, Piston Ring Replacement Kits, Piston Kits, Ring Set Renewals, Suction & Discharge Valve Kits, etc to various clients. Our offered parts are designed and developed by experienced professionals to make sure to provide flawless quality. These offered parts are acknowledged for QUALITY, INTER-CHANGE-ABILITY, PERFORMANCE and excellent finish and dimensional accuracy to meet the international standrads. Moreover, the entire range is available with us in various compressors ATLAS COPCO, CHICAGO PNEUMATIC, KIRLOSKAR, CREPELLE, KG KHOSLA, DRESSER RAND, INGERSOLL RAND INCLUDING MANY IMPORTED COMPRESSORS LIKE AJAX, COOPER, KOBE, MITSUI, SULZER ETC . 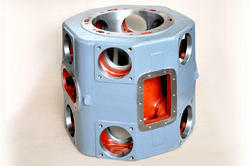 We are offering extensive range of Compressor Cylinder in the market. We provide various sizes and designs of these cylinders for various types of vehicles. These cylinders are not only very safe to use but also a perfect way for pollution control in most economic way. All the products offered by us are manufactured in compliance with the set industry standards and norms. 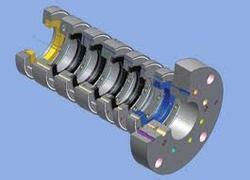 We are engaged in offering a quality assortment of Screw Compressor Parts. Our offered parts are manufactured from superior grade raw materials and state-of-the-art technology in compliance with the defined industry standards. Moreover, these are developed with utmost care to ensure their finish, dimensional precision and durability. We are actively engaged in offering Air Compressor Parts to our clients. Our offered parts are designed and developed by experienced professionals to make sure to provide flawless quality. These offered parts are acknowledged for their excellent finish and dimensional accuracy. Moreover, the entire range is available with us in various specifications. Looking for Compressor Parts ?